Scheltema, Cape Town’s leading roofing, ceiling and partitioning contractor, has won an award in the Southern African Institute of Steel Construction’s (SAISC) 2015 Steel Awards. 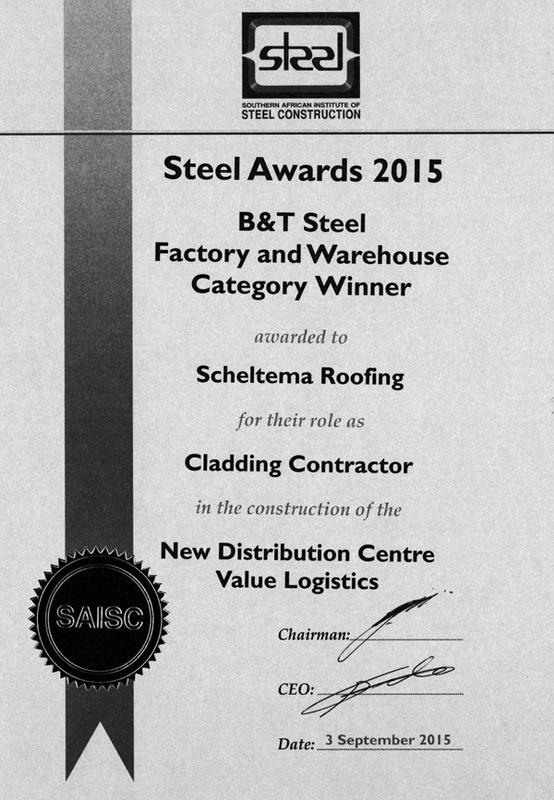 The company’s expertise as a cladding contractor in the construction of Value Logistics’ new Cape Town distribution centre earned them the award in the B&T Steel Factory and Warehouse Category. 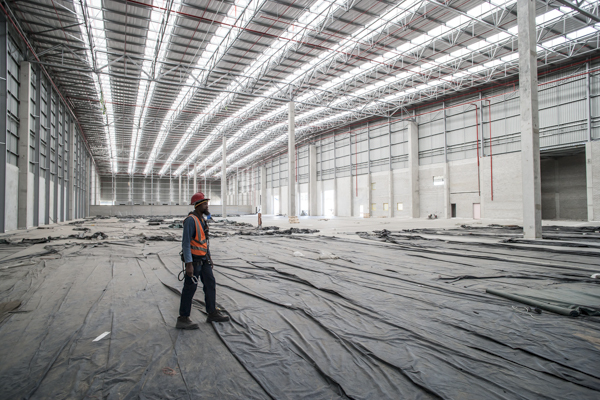 The project entailed the installation of new Kliplok roof sheeting, IBR side cladding and Factorylite bulk insulation on two warehouses and ancillary buildings, spanning a combined area of approximately 45 000m² . Scheltema was selected to work on the project by JMHT Quantity Surveyors. Of interest is the design of the roof which incorporates multiple roof monitors to introduce abundant natural light. In instances where lighting sensors that trigger the on-set of artificial lighting are used, in conjunction with such monitors, significant cost savings are ensured as artificial lighting is kept to a minimum. The project had to be completed within eight months and with the bulk of the work taking place during Cape Town’s rainy season, Scheltema’s crew had to contend with delays from the inclement weather, reducing the short construction period even further. Scheltema worked over weekends and in some instances late into the night to ensure the project was completed on time and to specification.